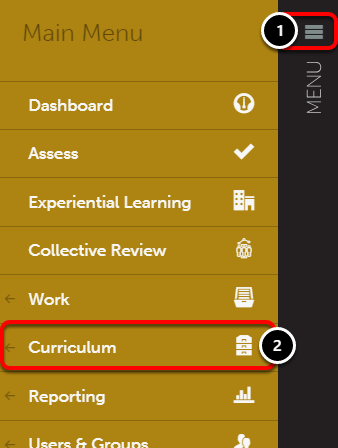 Viewing an Outcome Set enables you to read the outcome descriptions in their hierarchy in an easy-to-use format. 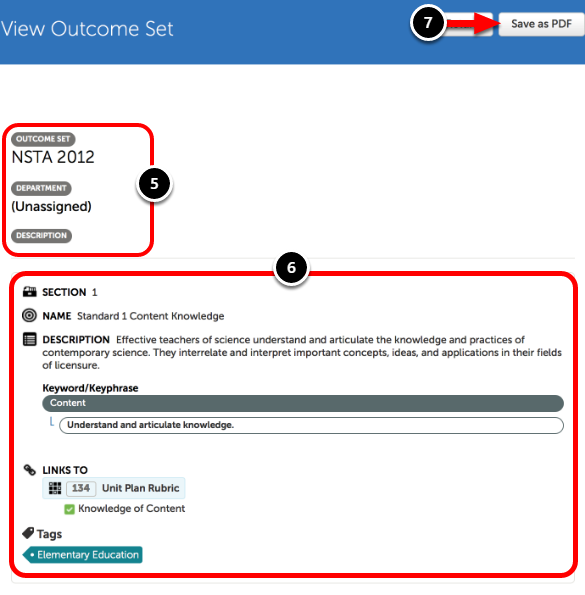 Viewing an Outcome Set will also provide you with the Set's basic information, like name, department, and description. 4. 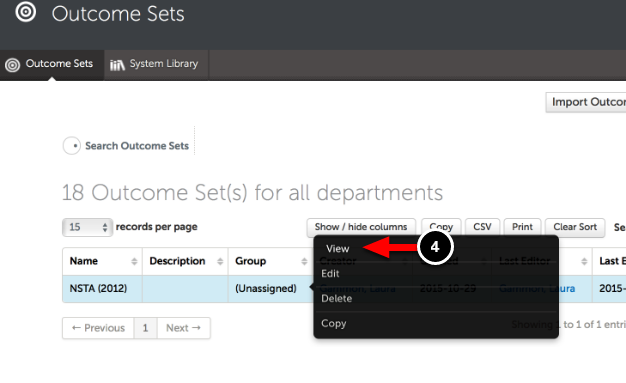 Locate the Outcome Set that you would like to view and click anywhere on its row to reveal its options. Select View. 6. 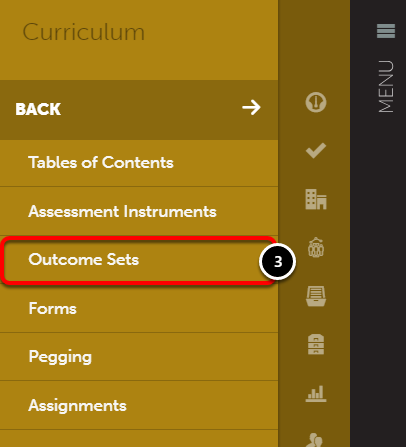 Outcomes and Outcome Sub-Sections, along with their corresponding Description, Keyword/Keyphrase (Core Word/Core Phrase), Links, and Tags. 7. Optionally use the Save as PDF button to save the Outcome Set as a PDF file on your computer.